One of the most appreciated benefits employees have is their health coverage. But, there’s more to satisfactory coverage than just getting enrolled in a plan. Employees at your business also have to pick out the right primary care doctor and provider for them to get full use out of their employer-provided health coverage. Remind new employees to check if their primary care doctor is on their new insurance plan. If you have a new employee who already lived in the area before joining your company, they probably already have a relationship with a local doctor. Remind them to check and see if their doctor accepts their new insurance plan. Knowing in advance can help them avoid inconvenience when they want to schedule an appointment for a checkup or a medical issue. If the doctor who they usually see is not in your insurance network, help them understand their options. In most cases, it is most cost-effective to switch to a new provider who is in-network. However, if an employee wishes to continue to see a doctor who is out-of-network, make sure they understand how this will affect their out-of-pocket costs when they need medical care. Check reviews to make recommendations. Today, it’s easier than ever to find out which doctors have good reputations for excellent care. Check out some of the doctors who are on your company’s insurance plans to see what other patients have to say about them. A list of a few who have good reviews will be greatly appreciated by employees who are new to your insurance plans. 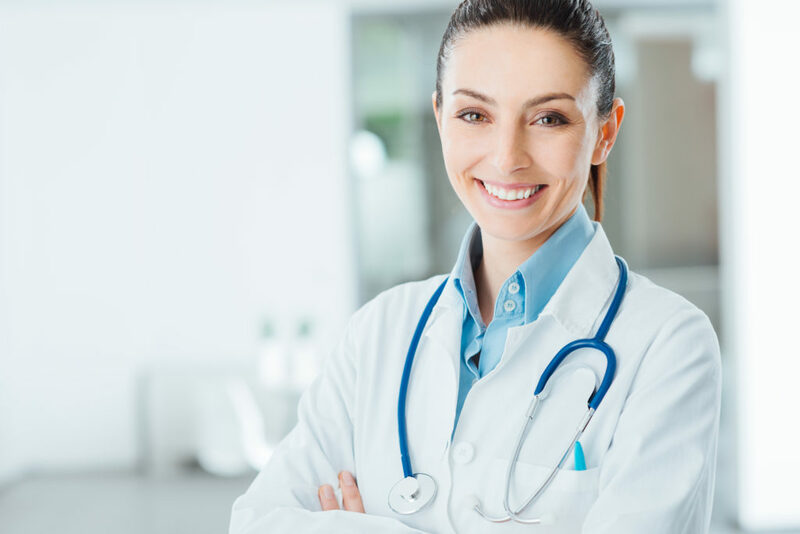 You can usually find reviews simply by Googling the doctors who are available through your plan. Your insurance website may also allow patients to review doctors. There are also specialized sites now, such as Vitals.com or Healthgrades, where people can provide reviews of doctors to help others make a choice. Chances are, the radius where your employees live is fairly wide. Researchers with ABC News say that the average American commutes 16 miles to work each day. By looking in several nearby towns, you can provide a range of recommendations that are useful to more of your employees. If you do not have the time or resources to check all the local areas, focus on the ones where the largest numbers of your company’s employees life. Keep employee needs and preferences in mind. The more you can personalize your recommendations, the more useful they will be to the people who work for your company. People with chronic health conditions, those with disabilities, employees with children at home and older employees each have distinct and unique healthcare needs. While a primary care doctor serves sort of a catch-all role before referrals to specialists, most will have more experience with one kind of patient than another. Many list their specialties on their website. For others, you may be able to learn more by scanning reviews for opinions from patients. Listen to feedback from other employees. The best resource you have available for helping your employees find the healthcare they need is your employees themselves. Send out an email to people at your company asking which primary care doctors they have seen and who they recommend most. The information that you gather can help those who are new to your health plan make decisions that work best for them. Typically, if an employee does not make a firm decision right away about their primary care physician, it’s not the end of the world. They can always adjust their choices with their insurer later on. However, getting the primary care doctor choice right the first time saves headaches later on. By providing the guidance that employees at your business need, you can help them make the choices that will serve them best during their time with your company. At Employers Select Insurance Services, we want to give you the tools to make the best decisions for your company’s employees. Contact us today for more information or call us at 916-248-4777 if you’d like to see how we can help with your needs. We’ve created this helpful resource, A Definitive Guide to Health Insurance Terminology, for your convenience. It’s currently free to download! Check it out!